Convert MBOX to PST with multiple email clients like Mozilla Thunderbird, Eudora Mail, Entourage, Gmail etc. Support migration of the .mbox file to Outlook PST, MSG, EML & NSF formats without Outlook installation. 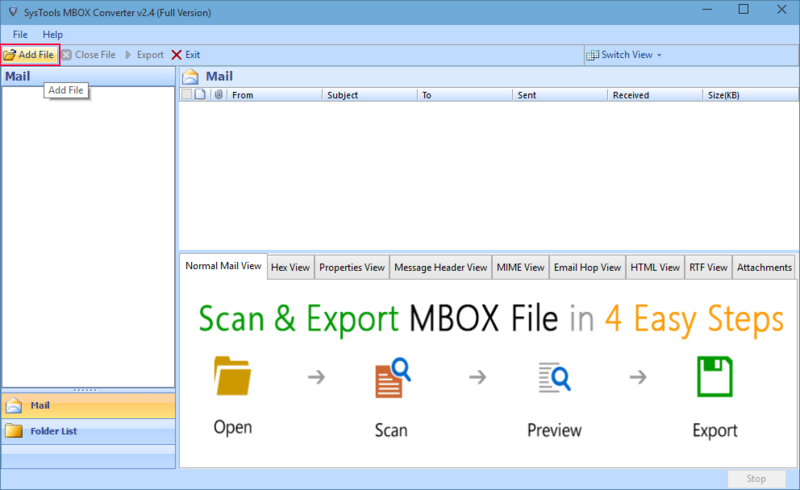 One of the best Windows MBOX Converter in the market for exporting MBOX to Outlook 2016, 2013, 2010, 2007 versions for email migration. Import .mbox file to PST in 4 simple steps (Open, Scan, Preview & Export). 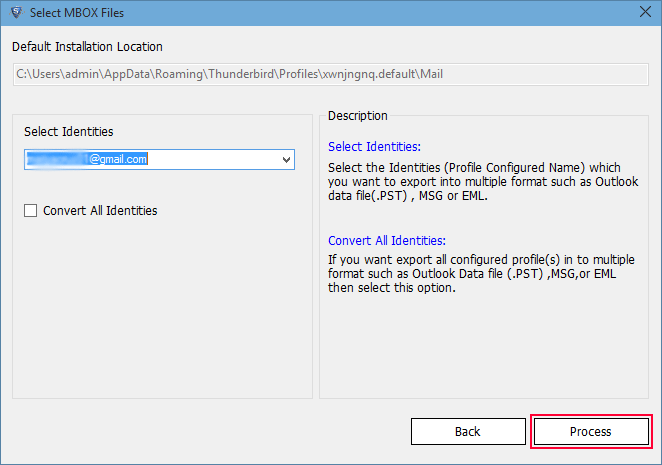 Migrate Mailbox files into Outlook PST, MSG, EML, HTML & NSF formats. The Tool does not require MS Outlook installation for email migration. 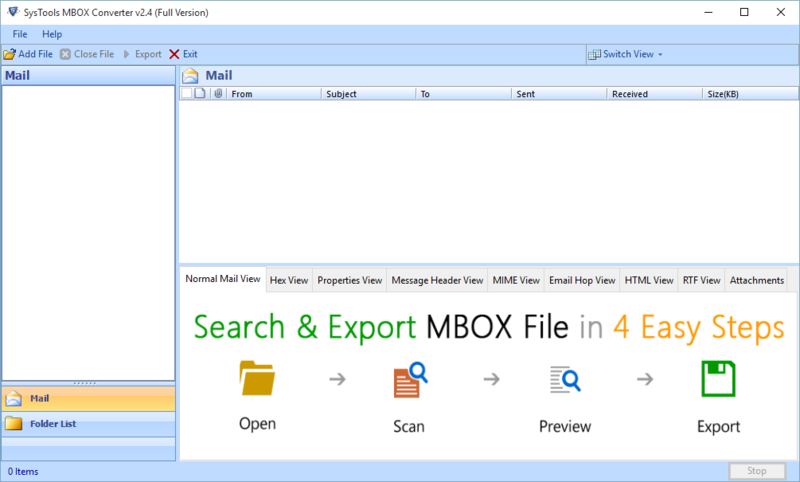 Convert MBOX to Outlook 2007/ 2010/ 2013/ 2016 in the Bulk mode. The Software comes with auto detect location feature for configured email client. Migrate .mbox to MSG on the latest windows 10 with MBOX Converter. Facility to move MBOX to Office 365 user account at once. The MBOX to PST Converter has the unique feature to detect the default location of the MBOX file extension for a particular email client in any systems. 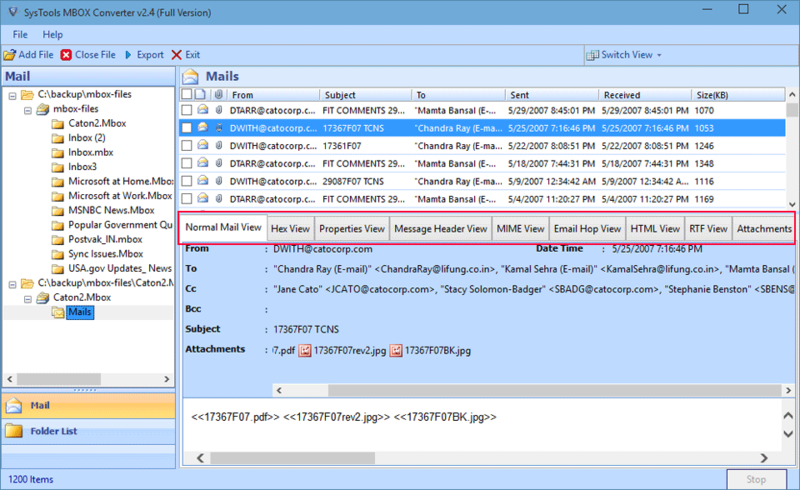 The software contains the list of popular email clients to which the user can select the client and then the tool will automatically detects the MBOX file location. This Auto detection property of this application makes it unique. It is helpfull for the users who are not aware about the location of .mbox files. MBOX Converter utility contains multiple import options to move MBOX file. 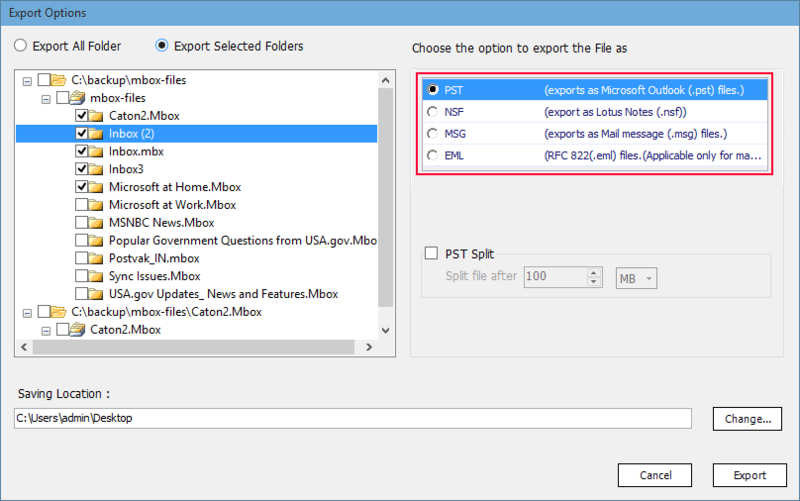 PST: MBOX to .pst convert MBOX to Outlook file format. EML: Adding .mbox to EML format is supported by many mail clients. MSG: Emails get saved in message format using mailbox to MSG option. NSF: MBOX to NSF format is used by Lotus Notes. MBOX to PST migrator is designed to import MBOX files to MSG in Bulk mode so that multiple Mailbox files can be transferred in a single process giving the option to the user to migrate emails & attachments as a separate or attached in bulk mode. This MBOX to Microsoft Outlook PST converter tool support all different versions of the file like: .mbox, .mbx, .mbs with or without file extension. 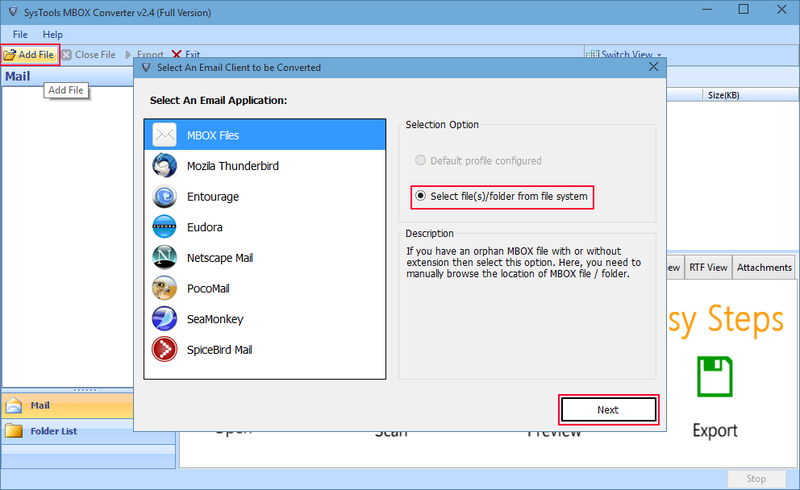 The tool provides 20 plus email clients which create profile in MBOX file with or without extension. 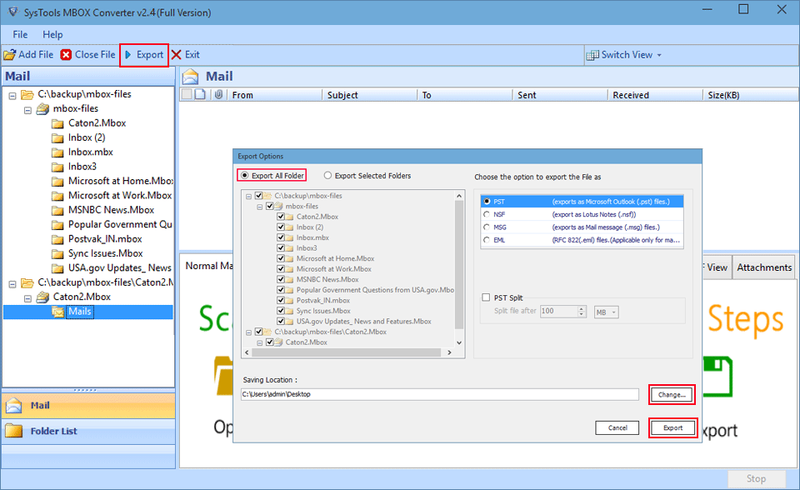 This MBOX to Outlook migrator software gives the option to save the imported mailbox file with naming conventions like: DD-MM-YYY, MM-DD-YY, DD-MM-YY, etc. Which will help the user in locating and managing the file accordingly. MBOX file Converter gives the option to split the output file by size in the range of MB or GB. So that the user can divide the data of the output file into small files specially in case of importing .mbox to Windows Outlook 2016. 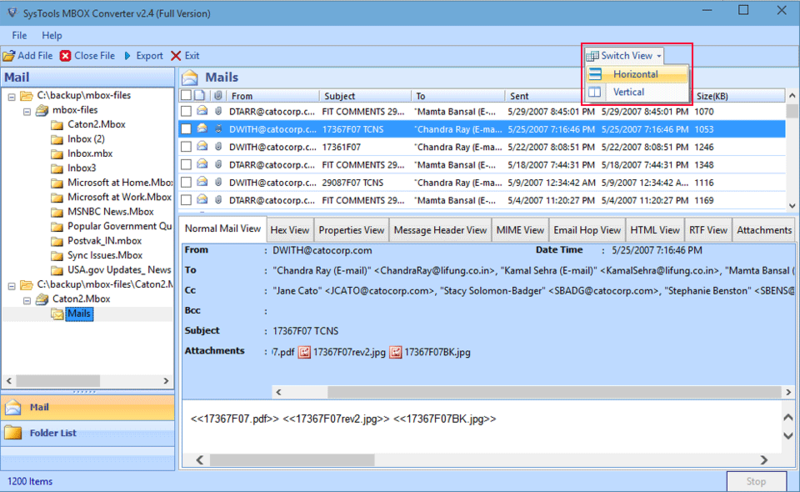 MBOX to PST Conversion utility displays the folder within the loaded mailbox file in a tree structure so that users can view the folder items of the selected file. This application supports MBOX to EML conversion. 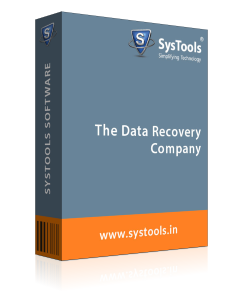 This tool comes with support for latest windows version and is available for both 32 and 64 bits. Exporting .mbox to NSF, PST, MSG is also having compatibility with all the windows version. Step 1 : Free Download MBOX files to PST Converter Software and install it on the system after which the below screen is shown on opening the application. 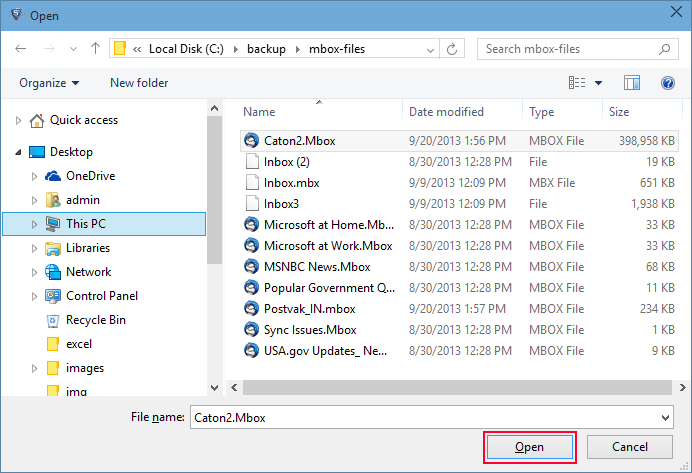 Step 2 : Click on Add file to select the option to add MBOX file into Personal Storage format in single or in bulk mode. Step 3 : Click on Export which will open the screen containing multiple options to select the file mode and export options. Choose the export option accordingly after giving file path. Search SysTools MBOX to PST Converter Application on the system and launch it. 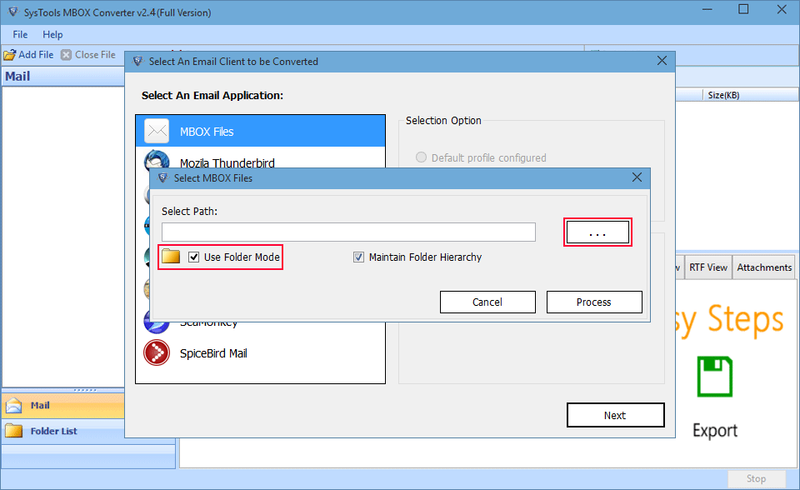 Step 5 : Click on Add File to add the MBOX file extension to convert MBOX to Outlook or other formats for a single or multiple MBOX file. Step 6 : Choose the email client application which is already configured on your system to import MBOX into Outlook PST data. 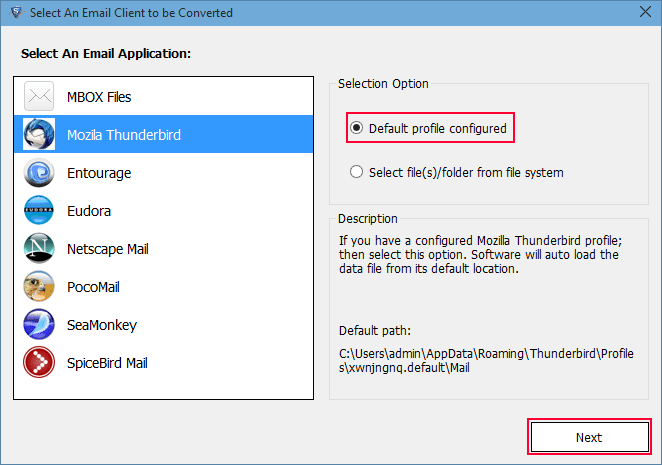 Step 7 : After choosing the email client application, select Default Profile Configured option and click on Next . 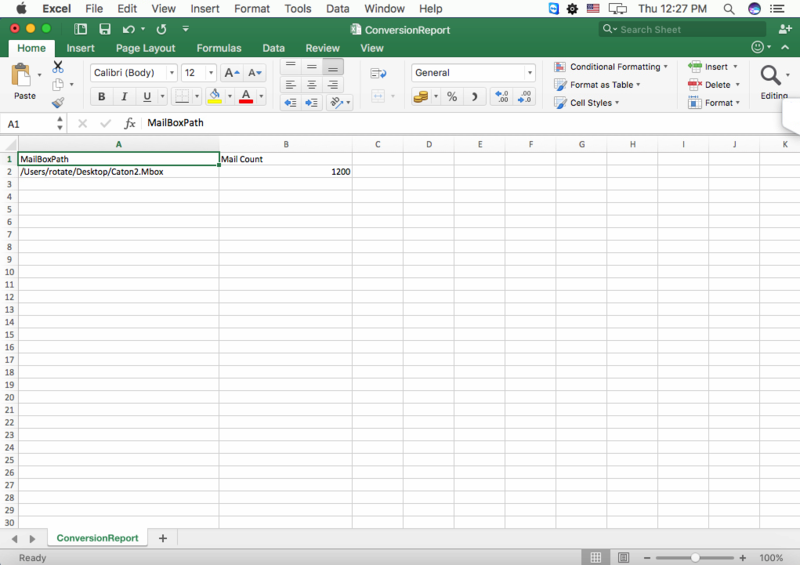 Step 8 : Select identities and the tool will fetch the data automatically from the location. Step 9 : If you know the location of Mailbox file, you can select the option Select File/Folder System and proceed. Step 11 : Select the MBOX file format and Click Open. Step 12 : Choose Folder Mode to select multiple MBOX files at once for export. 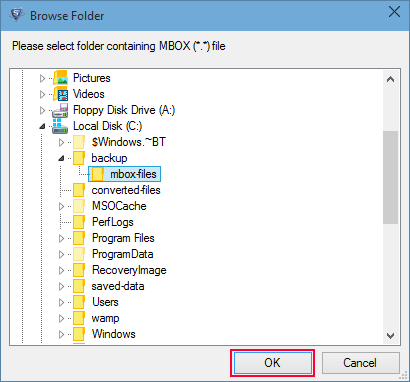 Step 13 : Select the folder containing MBOX files and proceed. Step 14 : Emails with attachments is shown in the display panel as the loading of the file is done. The loading can be stopped using the stop button. Step 15 : Read MBOX emails in the multiple view of the tool. Step 16 : Choose the Switch Mode to view the emails in horizontal or vertical fashion. 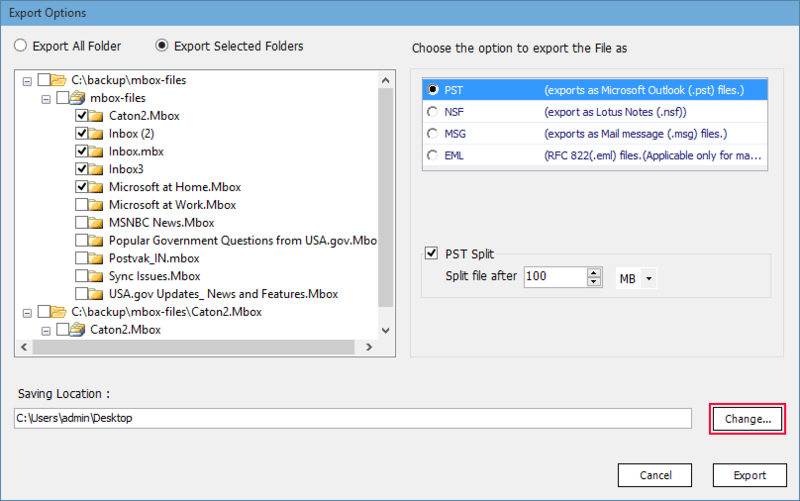 Step 17 : Choose Export All Folder option which select all folder for the MBOX to PST migration in a single event. Step 18 : Select the export option from the list for the output file. Step 19 : Fill the save destination column for the output file. Step 20 : Browse the destination folder and click ok. Step 21 : Click on Export button to start the .mbox to outlook PST conversion process. Step 22 : The below screen shows the status of the export process. 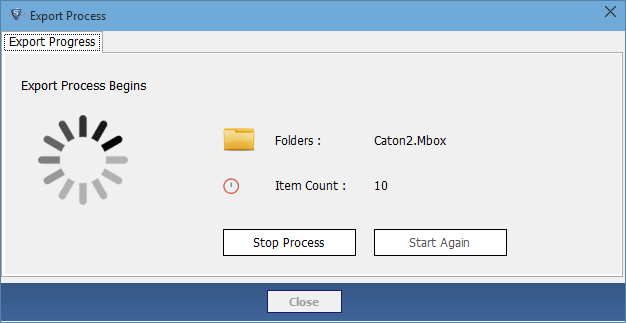 Step 23 : On successful completion of the export process, the below screen appears. Click ok. Step 24 : A report of the process is generated in the HTML file or CSV format. Step 25 : Check the output file by visiting the destination location on the system. 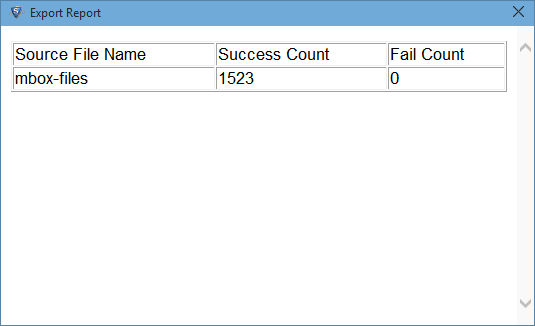 Step 26 : The below screen shows the export report. Watch!! How to Convert MBOX to Outlook PST file Format? Do I have to install Microsoft Outlook 2013 on my system for the proper working of the tool? No, Mailbox files into .pst format Converter does not require any version of MS Outlook to be installed on the system. Can I Convert multiple MBOX files to PST format? 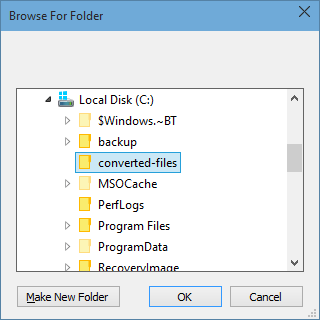 Yes, the tool comes with bulk mode option to convert multiple files in a single event. Does the Software converts MBOX file without extension? Yes, you can easily export MBOX to EML, PST, MSG, NSF file format with or without extension of the supported email client. How to convert MBOX to PST Outlook 2007 using this tool? Yes, This product supports migration of mailbox files to personal storage file format Outlook 2010, 2013, 2016 etc. Quickly in few simple steps. 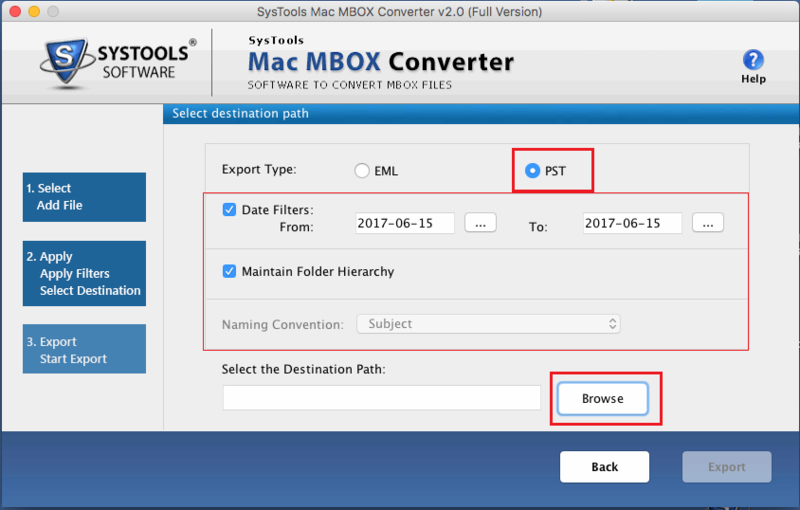 A single tool to convert Mac MBOX to PST, EML, HTML and file format. It become easy for the users to transfer MBOX files in Outlook 2016 or any of these file formats supporting email client. It is a standalone utility that does not require any extra installation to be launched on the Mac OS X 10.10 and above versions. Allows users to export multiple MBOX to Outlook PST. 1. 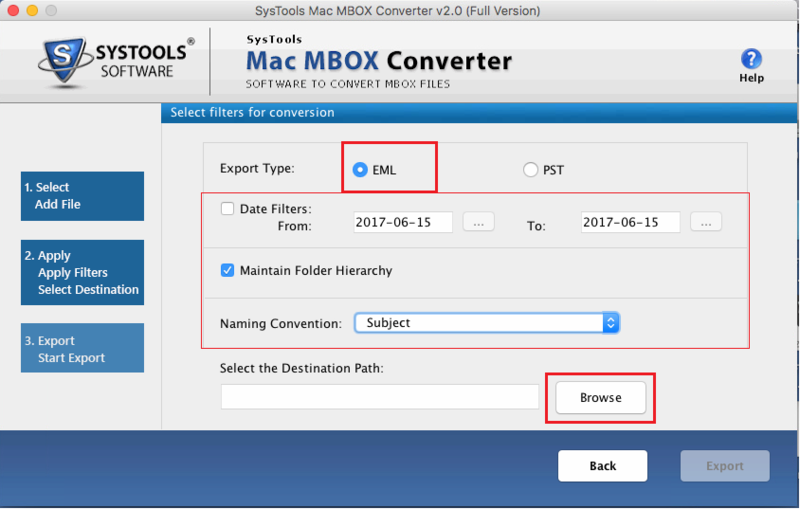 Convert Mac MBOX to EML: This option will create separate EML file for each email in mailbox file and can be accessed in any of the supporting email application. 2. Export MBOX to HTML on Mac: This option will output multiple HTML file, i.e. one HTML file for one email from the Mac mailbox file. 3. Convert MBOX to PST: Using this option, one can export any number of MBOX file to Outlook PST format at once. The MBOX to Outlook Converter Software for Mac is designed in such a manner that while migrating MBOX file data it maintains the folder structure, inline images, and HTML formatting. In addition, it keeps all the Meta properties of email messages like To, Cc, Subject, date, etc., and other header information along with attachments intact as original. Apart from all this, the software does not impose any file size limitation while importing Mac MBOX file to HTML/ EML/ PST format. All this make it easy for the users to manage the output file in the same way as MBOX file for Mac. 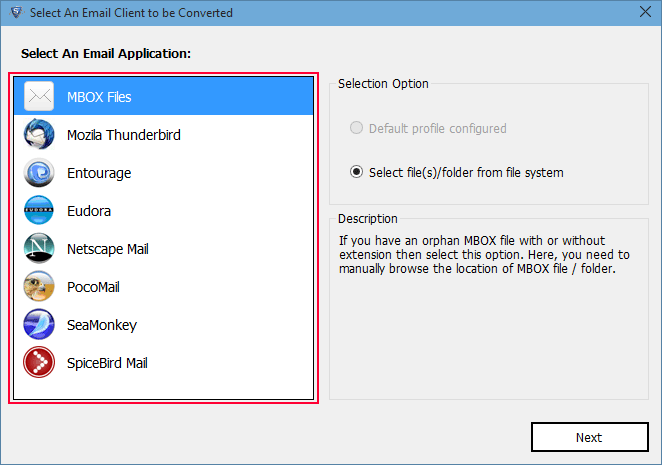 If a user wants to migrate multiple .mbox file at once, then he or she can simply use this application. It allows users to convert multiple Mac MBOX to PST/ EML/ HTML format. It will create separate folder for each mailbox file if a user choose Separate Folder option. 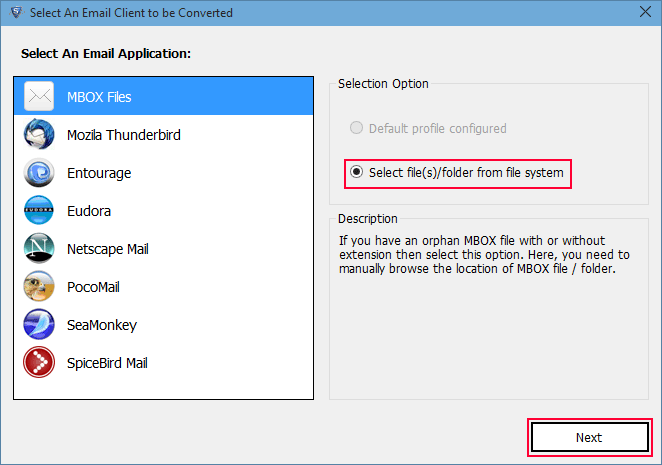 Moreover, it also permits users to create single folder for all MBOX files. After exporting, data to desired file format, the MBOX to EML Converter provides multiple naming conventions to save email. A user can choose any of them to save the emails based on the date, subject, to, cc etc. This will help users in managing multiple emails in more organized way. In order to export selective emails from MBOX file to HTML/ EML/ PST format, the software provides date-based filtering option. Using this feature, one can convert emails from a specified date range by mentioning date in ‘to’ and ‘from’ field. 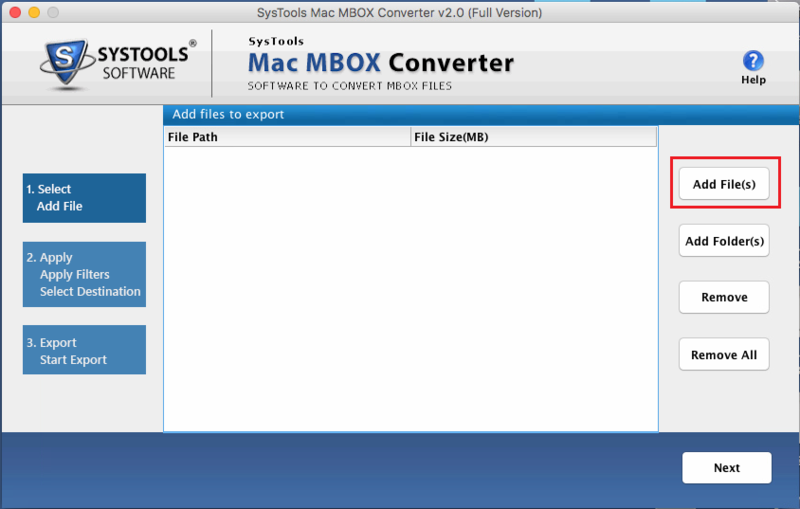 The Mac MBOX Converter application is designed in such a manner that it supports Mac OS X 10.10 and all above versions. Therefore, can easily be installed and run on any of these mentioned Mac OS version. How to Import MAC Mail to Outlook 2016? 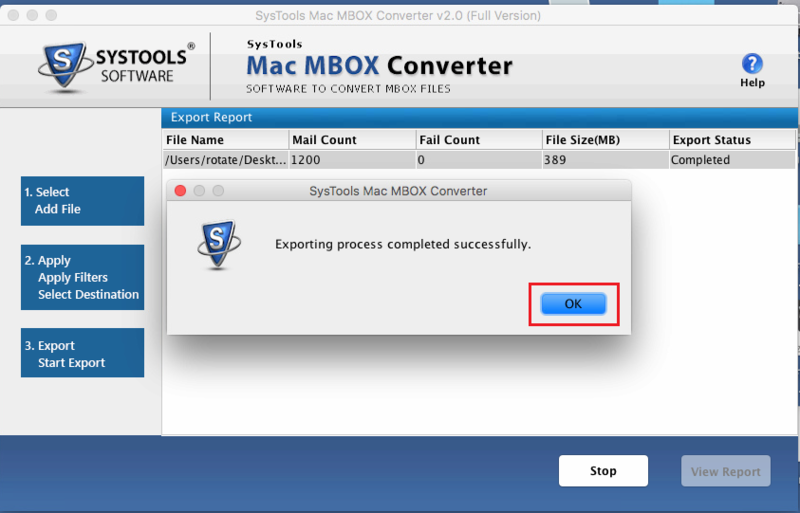 Step 1 : Open the Mac MBOX Converter and click on the Add File(s) button to upload MBOX file in Mac. Step 2 : After that, click on Browse button and choose the MBOX file that is to be exported. Click on Open button. Step 3 : The tool will display the file path and the size of Mac MBOX file. Click on Next to proceed. 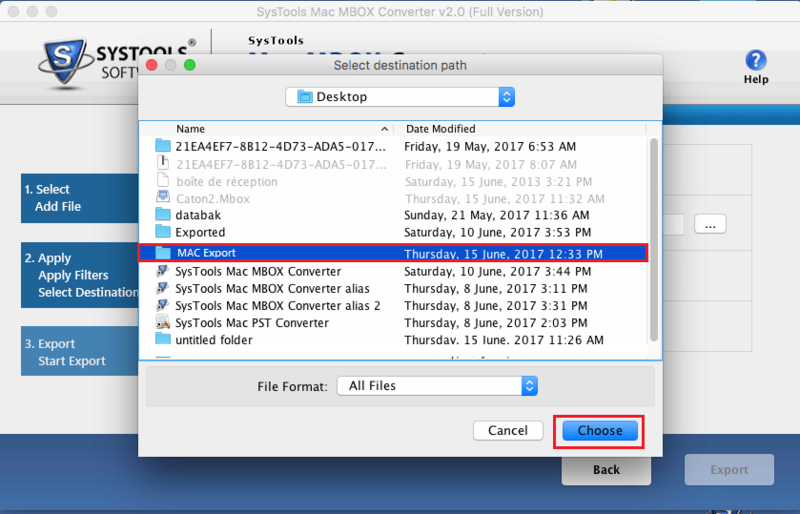 Step 4 : Here, you need to choose the Export Type to migrate Mac MBOX file data. 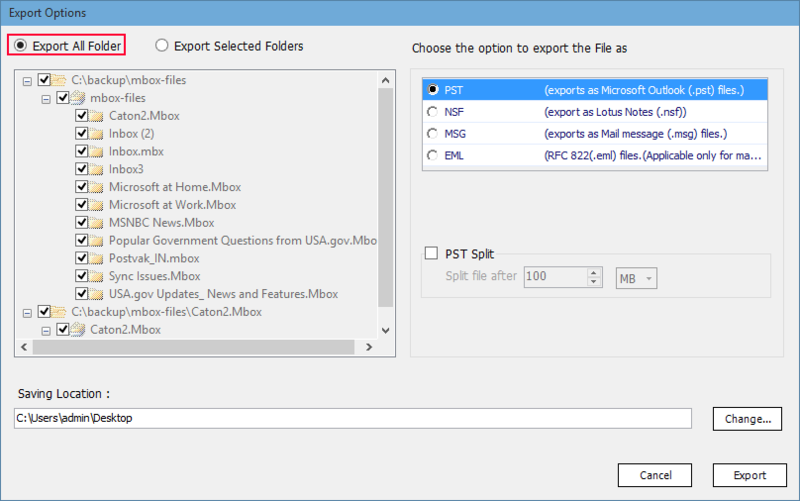 Step 5 : Then, select the PST radio button to convert MBOX files into Outlook PST format. 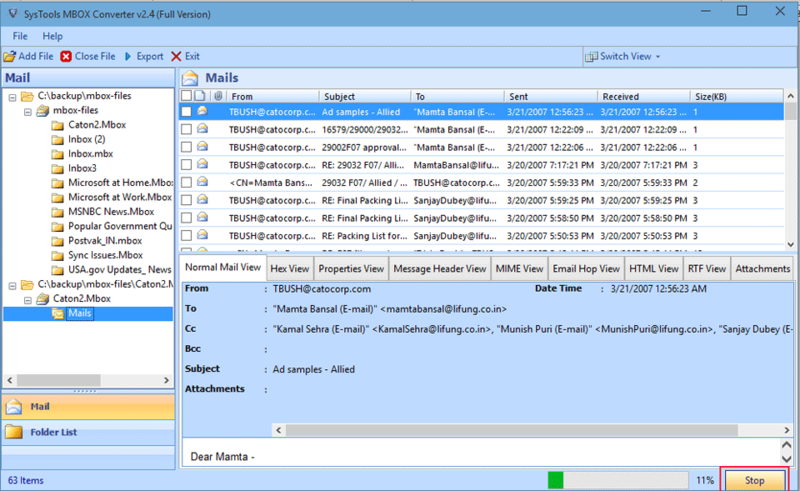 Date Filter: To migrate emails from a specific date range. Maintain Folder Hierarchy: Keep the folder structure intact as original after Mac MBOX to PST Conversion. Step 6 : You can click EML file radio button to convert MBOX to EML format? 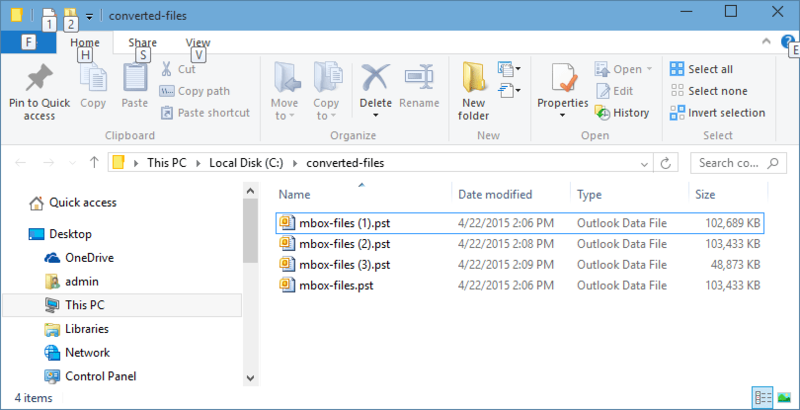 Maintain Folder Hierarchy: Keep the folder structure intact as original after MBOX to Outlook PST Conversion. Naming Convention: Choose any of the desired naming convention. By default the tool will use Subject. Step 12 : After that, go to the destination location and verify the conversion process. Here, you can view the PST or EML file (as per your choice). Watch!! 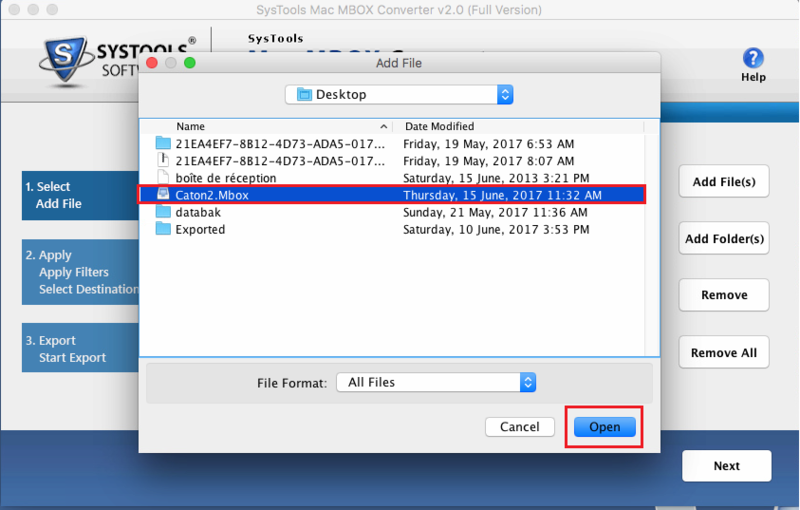 How to Convert MAC MBOX to PST file Format? Can I use this MBOX Converter on Mac OS X 10.9? No, the application supports mac OS X 10.10 and above versions. You cannot install and run the software on OS X 10.9 or below versions. Does the application provide an option to save the resultant file using any desired naming convention? 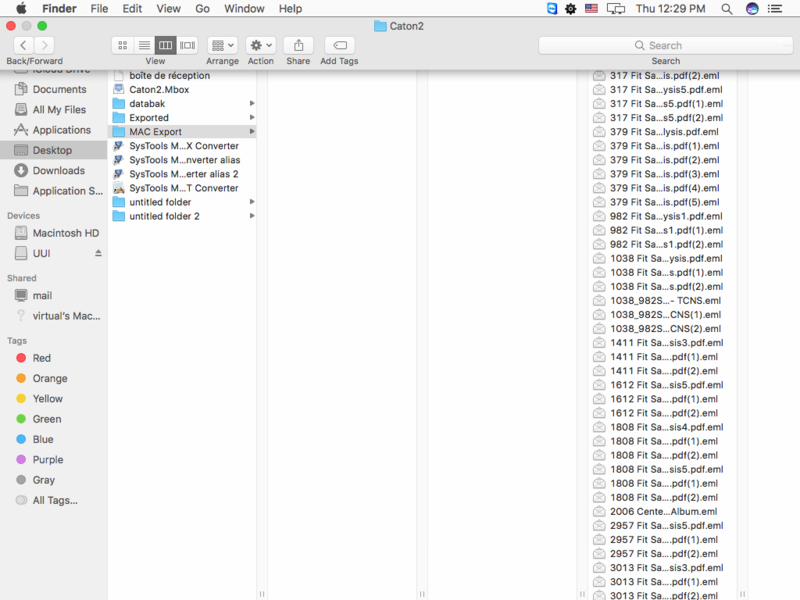 Yes, the tool offers multiple naming conventions like to, date, size, cc, etc., to save the file. A user can choose any of them based on his or her choice. I have tried this Mac MBOX Converter application and can easily say that it is one of the best tools I have ever used in my life. The utility not only converts Mac MBOX to PST format but retains the Meta properties also. I liked this software so much that I will definitely look for some more products by you in future. Superb team with superb creation. The best part which I liked about the application is, it export multiple files in MBOX to Outlook format for Windows OS at once. This feature saved my lots of time and has converted all files in just a few number of clicks. Thanks to the Windows MBOX Converter for making this task so easy for me. According to me, great work was done by the developers.